Thank you for your interest. 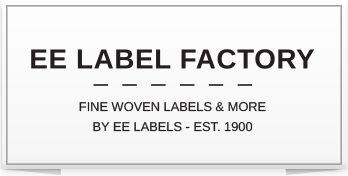 As you can see, not all products are available online, but you can order all of our products with your EE Labels branding specialist. Please carefully answer the questions below so we can provide you with a custom quote. We will get back to you as soon as possible. Please note: a minimum purchase of 500 pieces applies to most products. If you would like to place an order for less than 500 pieces, please visit our B-to-C store Nominette. You can use this form to upload your design. Accepted formats are .eps or .ai. Maximum file size is 32 MB.